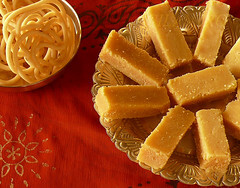 There are so many fabulous delicious sweets that I associate with my childhood Deepavali memories. I remember helping Amma make Rawa Laddus and later on distributed among friends for Deepavali. 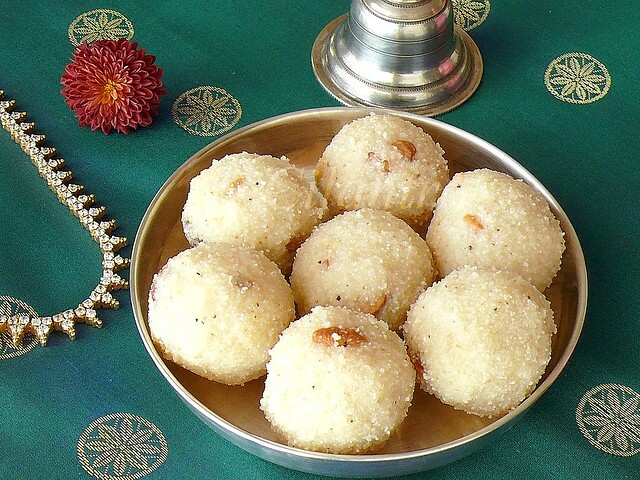 An absolutely easy preparation for beginners, Rawa laddu is a delicious combination of roasted rawa/ semolina/sooji, sugar, roasted cashews and raisins and delicately flavored with cardamon. There are two variations in making Rawa Laddu~ one a simpler version which I am posting today and which has a shorter shelf life and the other one is made with powdered Rawa and Sugar and which has a longer shelf life. I personally like the first version and so does my family. 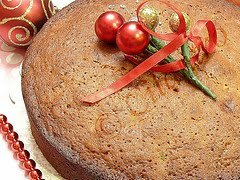 You cannot go wrong with this recipe, even a mistake here and there would not create havoc as is the case with most sweets. Heat a tablespoon of ghee/clarified butter in a kadai/fry pan and roast the cashewnuts and when they turn a very light brown color, add the raisins and toast for some more time until the raisins puff up well. Remove from pan, keep aside. To the roasted rawai add the sugar. Stir for 3-4 minutes. Now add cardomom powder, cashews and raisins. Mix well. Now add the milk. Mix well. Remove and set aside to cool and the milk to absorb the rawai. 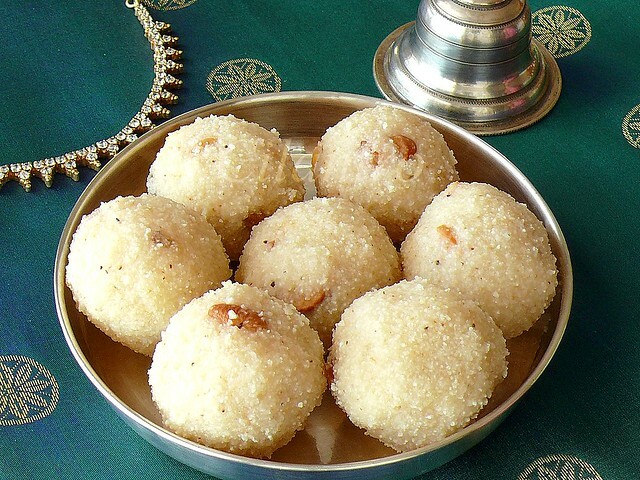 Tips: One cup makes about ten laddus in the size shown below. Store in refrigerator for longer shelf life. You could add 1/4 cup of grated coconut roasted in ghee. Rawa Laddu~My entry for Lavi`s Diwali Sweets & Snacks event. Love this simple version of rawa laddoos. Looks very tempting. My sister always makes them for deepavali and I get my share from her, but she did not this year and I really missed it after seeing your post. My all time fav...fantastic presentation..
What beautiful sooji laddus, C. Love them. my fav...soo good and yumm!! Rava laddoo loks divine! Tempts me to grab one! Ladoos look wonderful and so tasty.Beautiful click. Beautiful snaps!! Love the presentation. My first visit here ... n i absolutely love ur recipes n the lovely pics . Great blog !!! this is a great recipe for a simple version..check out my post for rava besan ladus that I posted for Diwali.. So white and divine! I have never made sooji laddoos and never had them either. My mom would make white sooji burfis like this, but I have no idea how. The laddoos look gorgeous. Lovely presentation, Cilantro. oh wow these suji laddoos look divine and very easy to make!